About Mark - Couple Counselling - Hitchin, Stevenage, Letchworth, hertfordshire ..
Having been married for over thirty years and with two adult sons, Mark has experienced many of the highs and lows of parenthood, being in a long term relationship and the ever changing work environment. Mark lives in Hitchin and the majority of his working life has been spent in the ‘caring professions’ as a nurse, mainly at Garden House Hospice, and as a child care worker with the local authority in a ‘Short Breaks unit’ for children with moderate to severe learning difficulties. Mark gained his qualification and experience through working for ‘Relate’ as a counsellor for nine years predominantly with couples, but also with individual clients regarding their couple based relationship issues. Relate is both the UK’s leading and largest specialist provider of relationship support. It was founded in 1938 as ‘The Marriage guidance Council’ but changed it in 1988 to Relate, in order to reflect its widening client base. Whilst there are many different areas of counselling, Mark has chosen to maintain his focus exclusively on couple counselling. 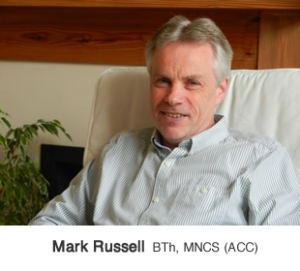 Mark is an Accredited member of the National Counselling Society (MNCS (ACC)) and adheres to their code of ethics.